This week we're sticking with a theme and that theme is that you're only as old as you feel. Actually, that's not it at all. 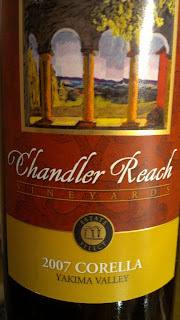 The theme is that the Yakima Valley is 30 years old in 2013. Washington's first AVA was granted it's status in 1983. For those of you at least my age, the idea that you could be born in the 80s and be 30 is frankly disturbing. 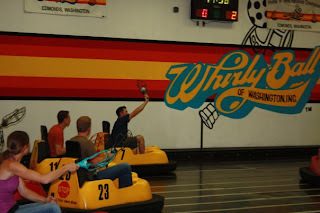 Whirlyball if you're not familiar is a game that combines several sports, basketball, jai alai and bumper cars, naturally. You advance the ball to your teams goal and shoot it into a basket, the other team tries to stop this by bumping you, stopping your forward progress or interrupting any passes you might make. 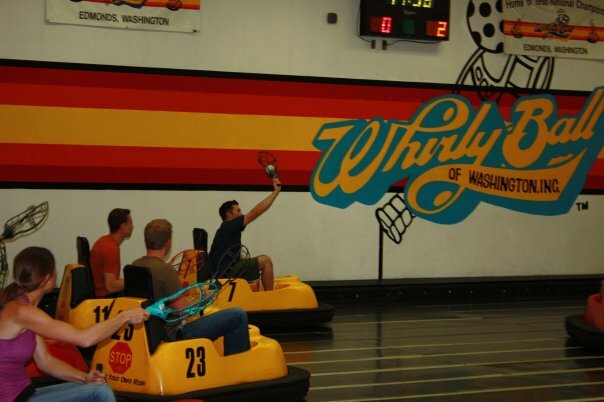 It's incredibly fun, providing everyone plays safe and reasonably. Our group did, no injuries.